for a Liebster Blog Award! The strange thing is, Traci is not my mom. and then said nice things. I pretty much assume I am hollering out into the void. The Liebster is presented to a blog with less than 200 followers. It's also mostly the 5(6) folks listed below. but what can I say, I'm a true rebel. I say nice things about them too. I hope you'll visit these diverse blogs. And thanks to the above, let the Littles rule!! 2. Link back to the blogger who presented the award to you. 3. Copy/paste the blog award on your blog. 4. 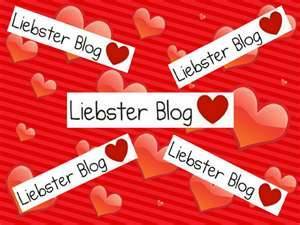 Present the Liebster Blog Award to 5 blogs (with 200 followers or less). 5. Let them know they have been chosen by leaving a comment.